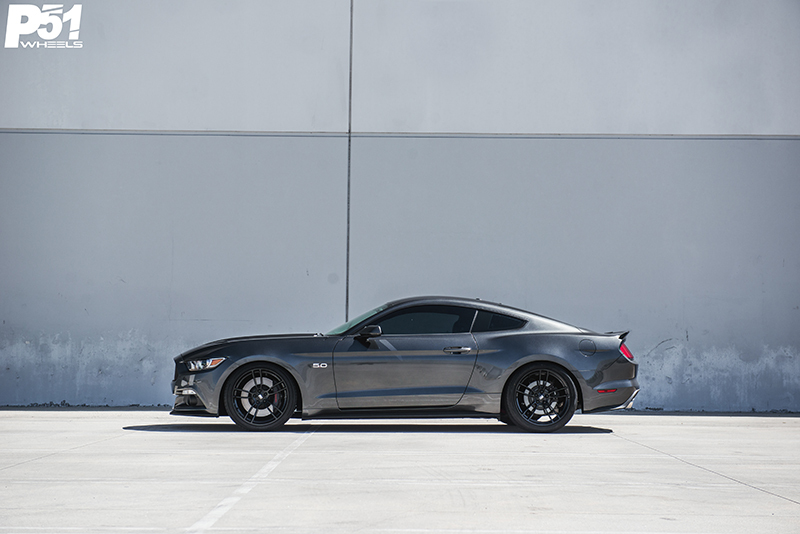 Our second P51 Wheels member, Gary Gaspargan, mounts the 101RF on his 2015 Ford Mustang GT 5.0 in Magnetic Gray. 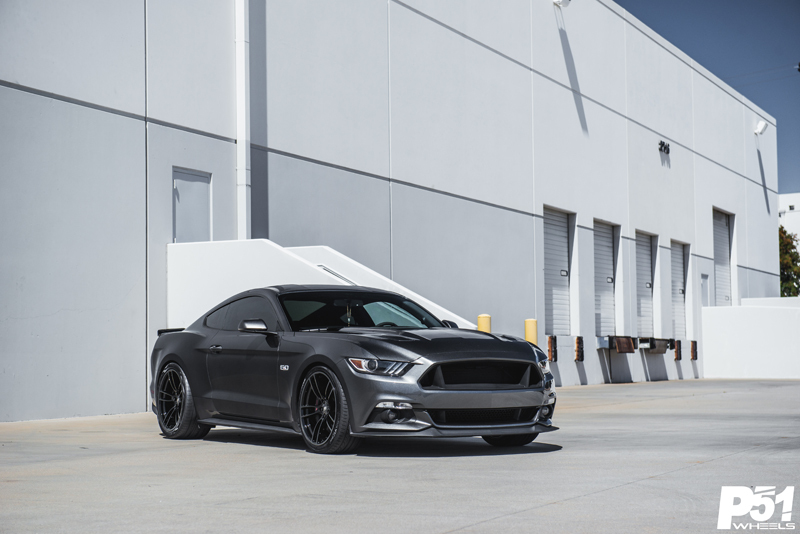 Familiar from the previous generation of Mustang GT 5.0, the S197, Gary is definitely enjoying his upgrade to the new S550 with the new independent rear suspension. 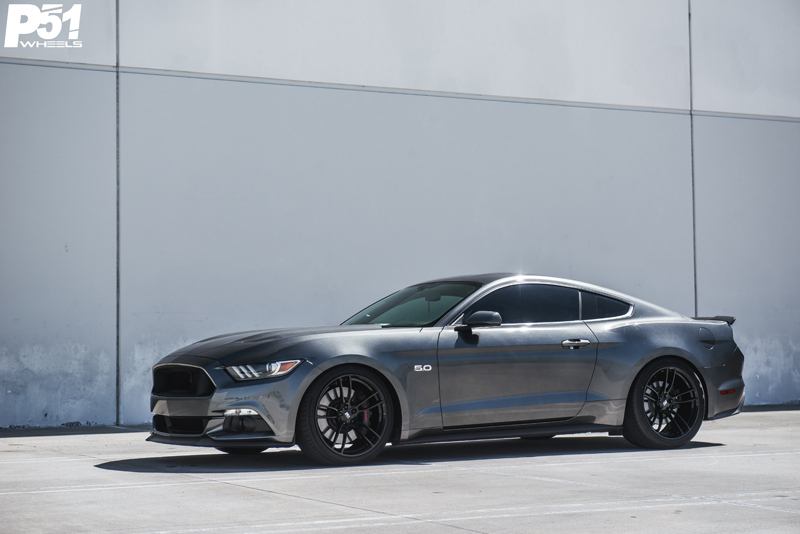 To start off slow, Gary has given his S550 a new exhaust to really give life to the 5 liter Coyote motor. 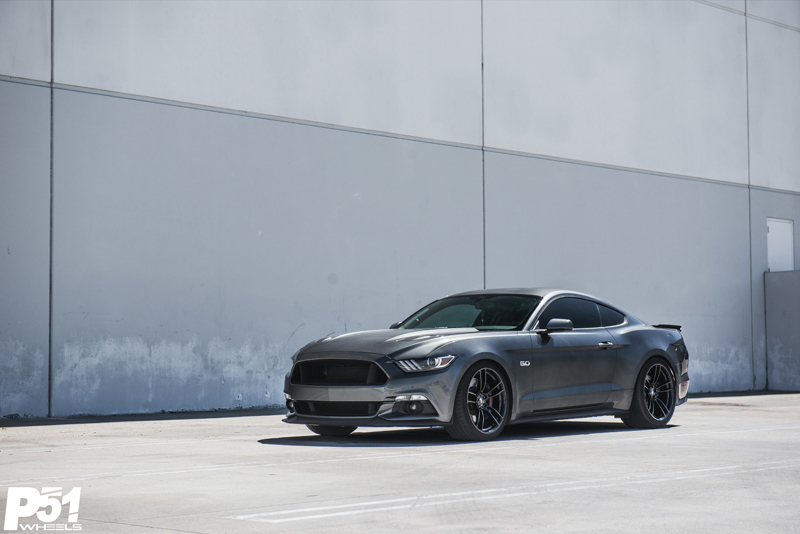 Aside from the simple performance mod to his Mustang, Gary rocks a simple set of springs from Eibach with the Sportline kit giving him a nice 1.5″ drop in the front and 1.3″ drop in the rear. To help with the lowered stance, Gary has also fitted a set of BMR Independent Rear Suspension Cradle Kit to really help plant the power down to the road by reducing wheel hop. 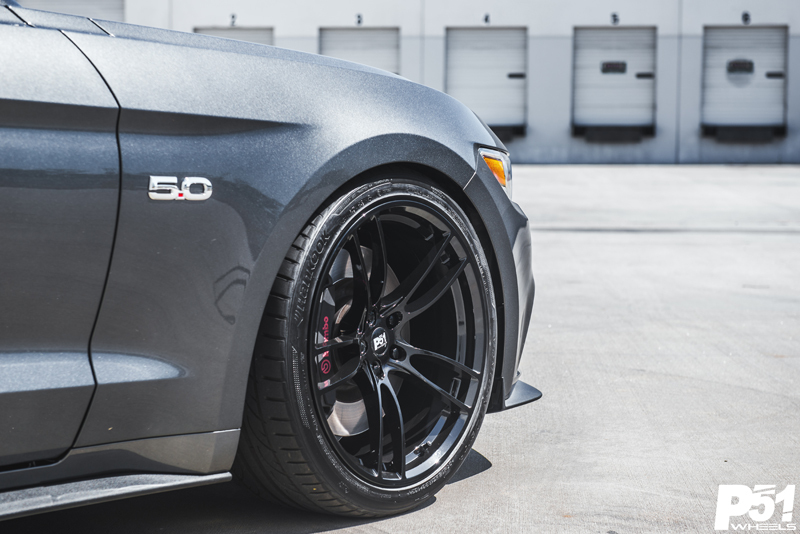 With all these simple mods, Gary has been through various wheel and tire setups in the past but didn’t feel complete with running other heavy wheel setups. 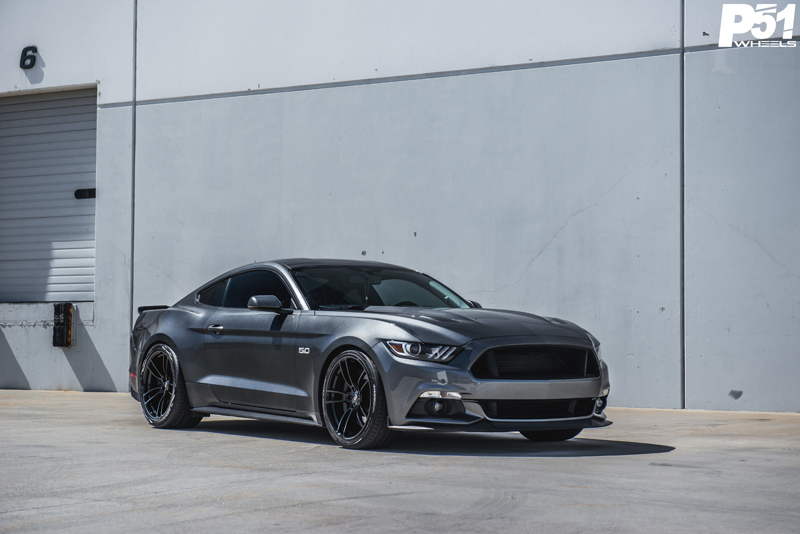 The P51 101RF definitely helps Gary reduce a significant amount of rotational mass with only 23 lbs up front and 22 lbs in the rear with our staggered 20″ setup. Questions? 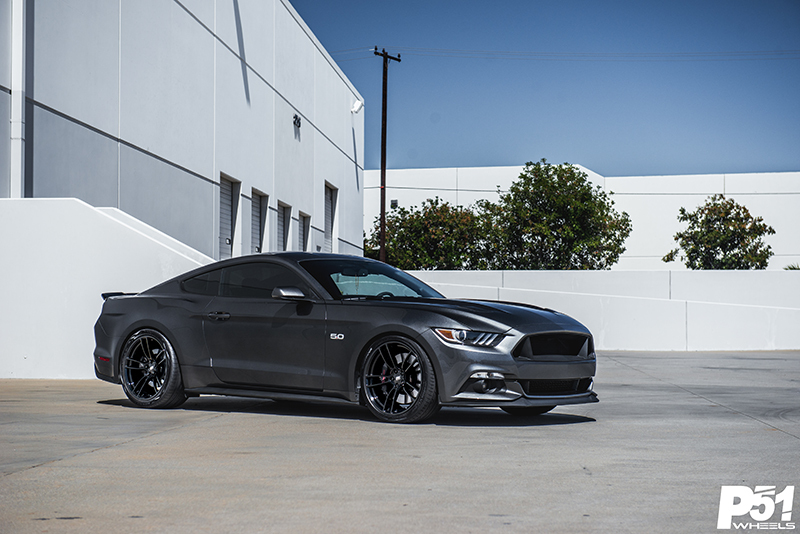 Feel free to contact us at (562)275-8268 or e-mail us at info@p51wheels.com.